The Feast of St. Ignatius Loyola, founder of the Society of Jesus (Jesuits) is celebrated every year on July 31st, the date of his death in 1556. 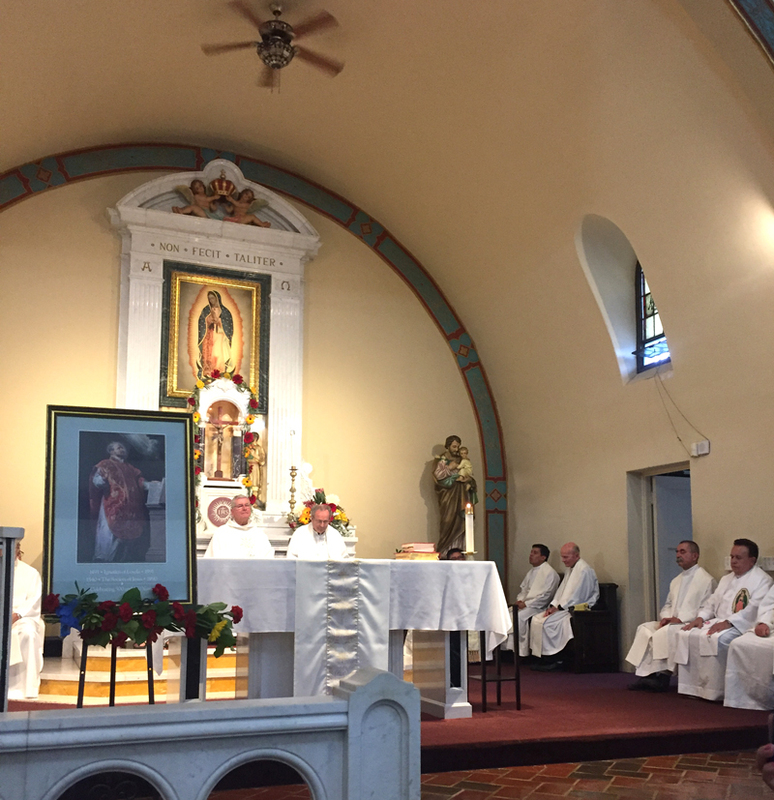 This year marked a very special occasion in the western United States with the formation of a new Jesuit Province, Jesuits West. This is a uniting of the former Oregon and California Jesuit Provinces and all the ministries or works represented. The Jesuits West Province is a vast area of the country that stretches from Montana on the East, Alaska on the North, Hawaii on the West and border with Mexico on the South. Within the new Jesuits West Province are eleven regions. Director Barbara Menard is a convener along with Rev. Bill Ameche, SJ for the San Diego Region. 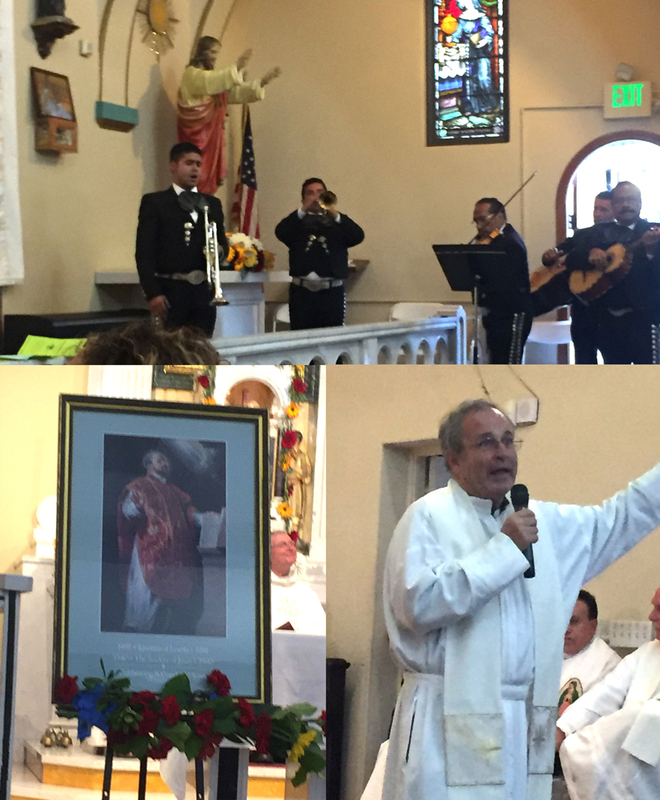 This region also stretches across the Border to include ministries in the Tijuana, Baja California, Mexico area. After a lively Eucharistic celebration that included Jesuits and other priests from the area including Tijuana, the women and men of Our Lady of Guadalupe parish treated everyone to a sit-down dinner in the school patio with entertainment including viewing the movie on Jesuits West.